The Brits get a bad wrap for their fairly mediocre cuisine, but it’s no longer the case. If there’s one thing they know how to do (ridiculously well) it’s the ol’ English Breakfast! If you walk into a restaurant and order the full English breakfast, you can rest assured you’ll be full until the afternoon hits – when, of course, it’s time for a spot of afternoon tea. There are many variations (including the newly popular brunch which is all the rage), but the traditional English breakfast will consist of two eggs, bacon, toast, baked beans and a baked tomato. All of this should of course be consumed with English breakfast tea – what else!? If it’s your first visit to London and you want to kick things off on the right foot, a great way to start is by joining a free city walking tour. Sandemans New Europe Tour are a popular choice with witty and characteristically British guides (what we all come to London for, right!?). These tours will take you to the major hot spots like Buckingham Palace, the Houses of Parliament and Westminster Abbey. Despite what you might read on other blogs (each to their own opinion! ), I think the ‘hop on hop off’ tourist buses are actually a great way to be introduced to a city. They’re a bunch of fun, have free guided information as you go along, and make visiting the top tourist attractions ridiculously easy. This is also a great way to see the city without putting in the miles of exercise (but that’s good too! ), as London is absolutely HUGE. The Oyster Card is valid not only on the underground, but also for the red double decker buses (an icon in themselves) and even regional trains. 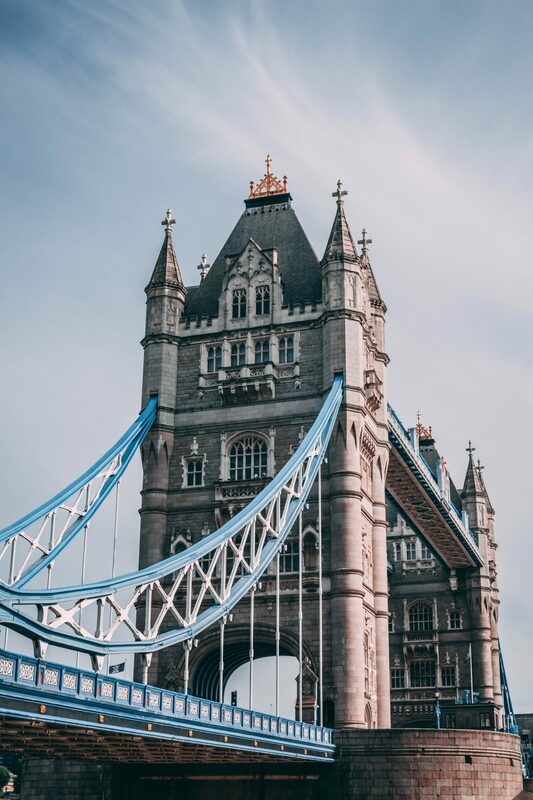 The best part is the money you will save – Oyster cards have a daily maximum of £8.50 meaning you can visit all the sites in one day for a relatively good price. Most of London’s museum are 100% free to enter and provide ample entertainment for an entire day. Be sure not to miss the British Museum and the Natural History Museum – two of the best. Just beware that these are also two of London’s most popular (and for good reason) so expect crowds and lines. There’s no denying that London is one of the world’s most expensive cities to visit – this is nothing new. Every cost adds up and soon enough you’ve blown your budget within the first 24 hours – you wouldn’t be the first to let that happen! A great way to save money (and time) is to grab a quick lunch on the go at M&S, Tesco or Sainsbury’s. Surprisingly they have some fantastic food for a ridiculously good price – just a couple of pounds for a gourmet sandwich to eat on the go. Of course it depends on the individual, but unless you REALLY want to see the changing of the guards, this activity can (and in my opinion) should be missed. There’s thousands of tourists every day all nudging one another for a peek and it has become almost impossible to see any of the action. It took me a couple of visits to London before I really started to see, experience and explore the city as a whole. I was with my friend Dave from @London on Instagram when we ventured out into unknown territory for me to visit the Globemaker’s artist studio. It was truly fascinating to see how much London changed when you start to explore the neighbourhoods – a highlight for the day was hipster-lovers paradise Shoreditch. So you want to take the iconic London snap – Big Ben, the Thames and a magical sunset after a long day exploring London? You’ll find it just across the bridge, over on the Southbank of the Thames. Besides, any photo you attempt to take over near Westminster will inevitably be photo-bombed by one of the many passing tourists. While they’re both not such a small investment (£29.95 for the Shard and £19.10 for the Eye), there’s still no denying these are two of London’s best birds eye views. While it might be a tad more expensive, the Shard appears to win as the best view simply based on the fact that it HAS the London Eye in the frame. Pick and Choose your Activities – It’s too much to try and do everything! There’s so much to see and do in London – The London Eye, St Paul’s Cathedral, Tower Bridge, The Tate Museum, Buckingham Palace…. This is just the beginning. Be sure to do your research, find out what is on offer, what you think you simply cannot miss, and go from there in order of preference. London IS HUGE so it might take a little longer than expected to get from one attraction to the next – prioritise. There are many great nearby cities to visit just a short 1-2 hour journey from London. You can choose to take the train or bus to the likes of Cambridge, Oxford, and Bath among others. The latter is a great choice for history buffs in search of a Victorian experience and the other two are college towns through and through – but all are filled with character and charm. Great post! Totally agree that a free walking tour should be taken. I personally like to try different this than sandermans as the groups can be a little smaller and you are not under pressure to tip. Free London walking tours have some great story tellers and I believe they have some new tours coming soon http://freelondonwalkingtours.com. Going there next month! Curious to know what neighborhoods you would recommend staying in? Also, if on a budget–what do you think is a realistic and feasible daily budget? I’ve visited London numerous times to see friends and family, but it always amazes me how much there is to do there, especially the free stuff!!! Ive been to a few of them but I didn’t know there were that many free attractions! I have been to London over and over and I can’t agree more with your first point of taking a free walking tour! London has loads of them and I learned something new each visit ( would love to know your favorites)..I’ve been meaning to post free walking tour experiences on my site. Love your insight! Excellent post! It will help to easy to get a tour in London. I loved the changing of the guard with all it’s pomp and circumstance. I loved afternoon tea. I spend more than 2h toasting in the sun (I know, it was one of those odd days in London where it was quite warm in May) waiting because my sister wanted to watch it again. I manage to get some nice pictures, but I had a problem with my camera so lost them all. Seriously skip it. Instead just go and wander in some of the many city gardens, like the Regent’s park or Holland Park. There’s also the free alternative London tour which is quite nice and explores East-London. There’s also a £10 Harry Potter Tour for any fans out there. Also I would recommend a visit to any pub just for the experience of the buzz and the good variety of craft beers. If there’s any whole in your agenda, try also a visit into “Little Venice”, it’s quite a pleasant walk too. Just got back from London. All places you mantioned are great! Especially Natural History Museum. It’s magical place! My mom and I went to Paris for a week and took the “chunnel” to London one day, and were there for about 8 hours. We managed to go on the London eye, which we had to que for of course but so worth it for the views, ride a double decker through Abbey Rd, and see part of the Trouping of the Colors at Buckingham Palace. We even had lunch at Ye Olde Chesire Cheese. A touristy day for sure but so lovely! I really miss London. I was there five years ago and I’d love to visit that city again. I wish I could live there. Greetings from Cracow. I’m drooling just remembering the sandwiches at M&S, they are amazing value for money over there! Here in the states you would NEVER buy a sandwich from a gas station unless you were desperate. Over there, they are out of this world. Definitely a worthy tip for the list! Also the English Breakfast wouldn’t be complete without sausages and fried bread! I love London so much, yet despite living only a few hours away I don’t visit nearly as often as I should. Visiting food markets is also really awesome in London! You’ve got Camden Lock up north, Borough Market by London Bridge, Brick Lane Market on Sundays and the Real Food Market at the Southbank Centre. A little-known but really awesome one by the centre is Leather Lane Market. No tourists, just workers out on their lunch break! nice views. thanks for posting nice views. Great advice! I love the free museums, exploring Shoreditch, and getting around the city with an Oystercard. I also love going to the markets and parks. Borough Market, Camden Locks, and other markets make a great, inexpensive lunch as well! Great article! I’m a huge fan of London and been there many times. For visitors new to the city, I would totally agree with what you wrote. Another tip for a cheap meal is (at least during the weekends, not sure how it is on weekdays) Camden market: If you go there in the evenings (maybe around six o’clock) the stalls are selling of their food. We used to grab something to eat there for two or three pound. But even if you pay the full price it’s not that expensive – and there is a huge selection of different stalls and foods from Chinese to Pizza to Mexican to Hot Dogs, so everyone should find something. I would definitely recommend The Shard. It’s terribly expensive, but I thought it was worth every penny. I’ve been on the London Eye some years ago and liked it very much, but The Shard really hits the spot. We’ve been there last december, the weather was bad and at first, I didn’t want to spend so much money. But even though it was cloudy, you had a great view over the city, it gave me a new perspective of London. Hey Brooke, great insight into the fabulous London! You can actually go the bar at the top of the Shard called Aqua Shard for free (or the cost of a drink) or alternatively to the top of the Heron Tower (Liverpool street) for an opposing from the opposite side of the Thames once again for the cost of a drink. The bars in the Heron Tower are decadent and worth a look for sure! Im flying to London in a week, I have been there before but I have feeling this time will be different and much better. I totally agree with you on the whole changing of guard thing, if you are in the area I think a better option is to walk a few step away to “speakers corner” you get the meet the most amusing characters from england. 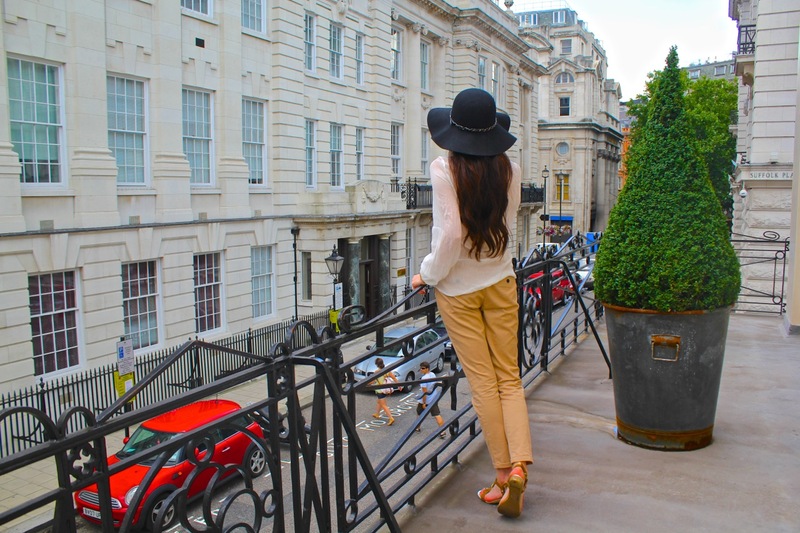 I’m traveling solo too and just did a large post on London as well! I used to study at Oxford so I know the country well, but I still had a friend who lives there help out. I love your tips–mine are mostly about nightlife and food–but yours are so on point, especially about the oyster card! London is part of my bucket list. I wanna go there someday! Thanks for sharing these tips. I’m in the midst of recapping my England trip on my site right now and I’m happy to say that I pretty much followed all of these tips! As always, awesome read, Brooke. Thanks!